MALAYSIANS KINI | In recent years, there has been a marked increase in the number of local publishers featuring talents of home-grown writers and artists. 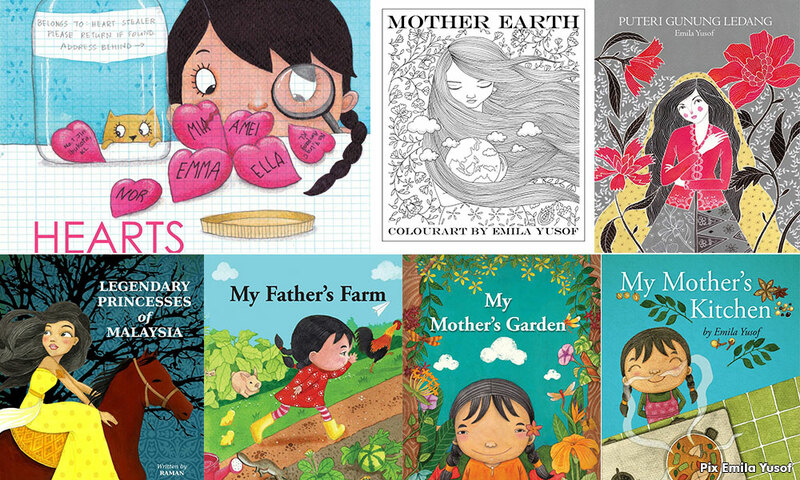 For author and illustrator Emila Yusof, however, there is still a lot that can be done to expand the market now pre-dominantly targeted towards teen readers and older. Her area of interest is children’s books. Her own experiences growing up in an army camp by the seaside in Malacca and school holidays spent at her grandparent’s house in Raub, Pahang, eventually went on to form the background for her illustrated trilogy - My Mother’s Kitchen, My Mother’s Garden and My Father’s Farm. It was then that Emila said she discovered the joys of eagle feeding, collecting clams, collecting wild fruits and many other activities virtually unknown to children nowadays. “From as early as 10 years old, I learned how to cook as my mother will go out and work. “So I know how to cook curry, masak lemak, and few others from my mother. This inspired me to write My Mother’s Kitchen,” she said. The last book in the trilogy was however inspired by her late father-in-law’s farm, combined with her own father’s farm - featuring chicken coops, goat pens, fish ponds and even a swiftlet house. “The goose from the book, however, is based on my experience living in a squatter area in Kg Pandan in 80s,” she told Malaysiakini in a recent email interview. 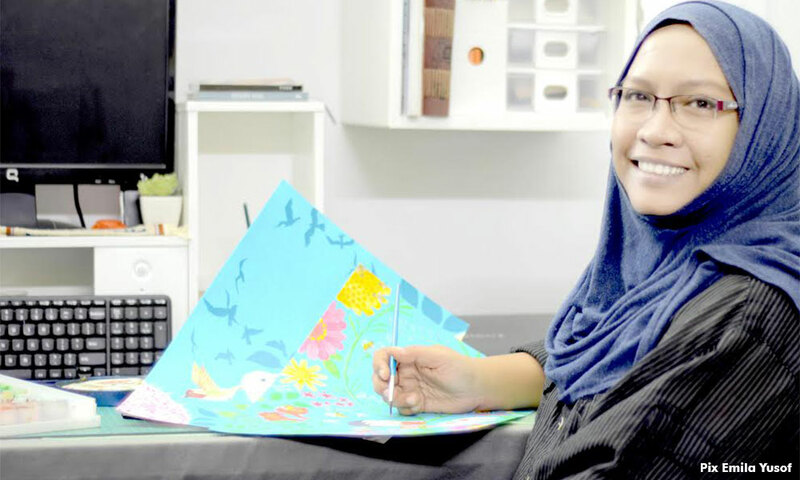 In 2015, the mother-of-two provided illustrations for the best-selling 'Legendary Princesses' series, featuring local legends including Puteri Gunung Ledang and Puteri Santubong. Other elements in her artworks were also inspired by her travels across the globe, covering places including China, Germany, South Africa, Italy, Japan and many others; aside from all the states in Malaysia. Most of her unpublished works were uploaded on her public Instagram account @emilayusof which has 4,636 entries to date, ranging from snapshots, doodles and even poetry inspired by some of her favourite writers - national laureate A Samad Said, Indonesian poet Chairil Anwar and Australian author Lang Leav. The self-taught artist shared her inspirations and challenges faced in her current role as creative development director at Oyez! Books - a local publishing house behind a growing range of illustrated children’s books. I LOVE ALL MY BOOKS WITHOUT DISCRIMINATION. I can’t pick a favourite one. I have so far published 40 titles, of which 10 has been translated into other languages such as German, Vietnamese, Chinese and Indonesian.